Alright, folks. 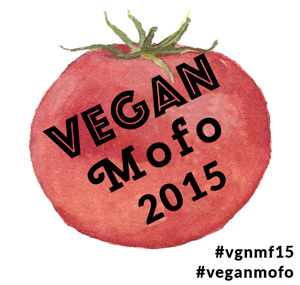 Day 2 of Vegan MoFo has arrived. The prompt of the day is: Recreate a meal from your childhood. Back in the day, when I ate meat and was a wee youngin’, I loved my mom’s Black Peppercorn Chicken. She would make it for dinner quite often, using a McCormick marinade packet. It was tangy, with a distinct spiciness from the pepper. Alongside, she would mash up baked sweet potatoes with butter and brown sugar, and serve up some green beans or corn. Yum. But now that I am a vegetarian, I haven’t experienced the black peppercorn taste profile in a while. It was only when I was grinding up some peppercorns for an Indian recipe that I recognized the zingy smell, and pondered my mom’s holy Peppercorn Chicken. I knew then that I had to vegetarianize the recipe. 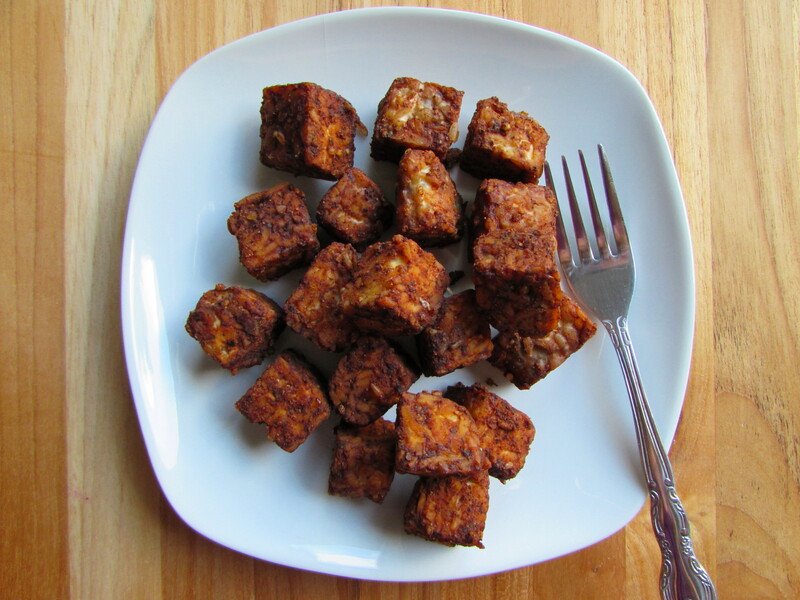 This tempeh is actually quite easy to prepare. You steam (braise?) it in a water and spice bath, and then coat it with the homemade peppercorn spice mix. It then goes into the oven for a quick bake to crisp up. Below, the steamed tempeh is covered in spices and waiting for its oven debut. 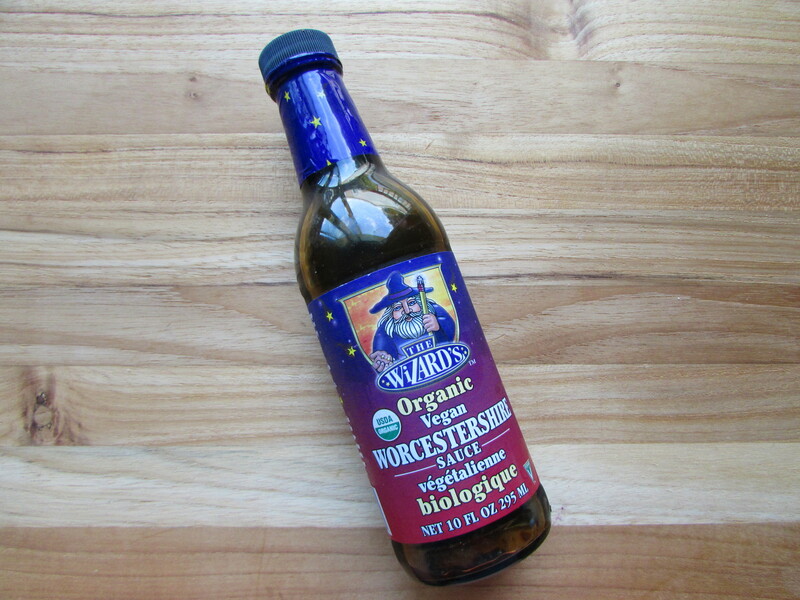 I used this great organic vegan worcestershire sauce made by The Wizard’s. Be careful when selecting a worcestershire sauce, as most have anchovies hiding in the ingredients list! 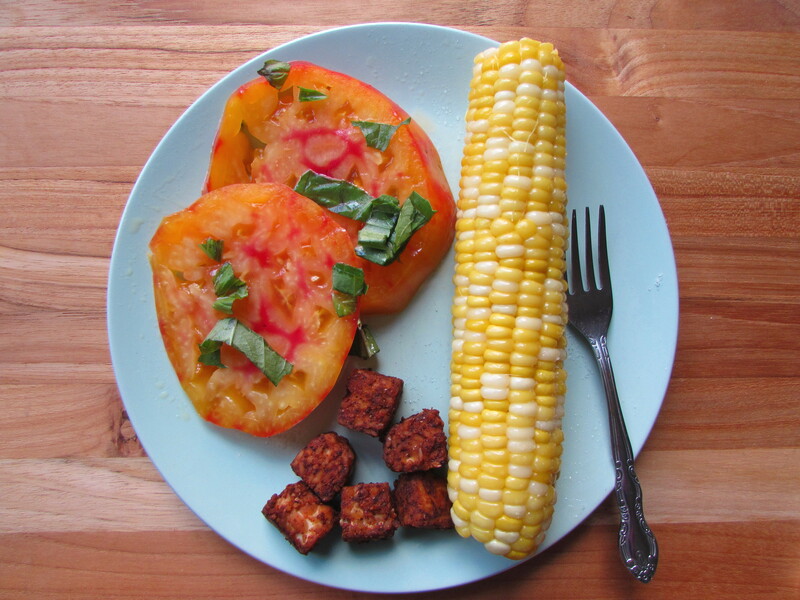 I served my Black Peppercorn Tempeh with massive slabs of heirloom tomato dressed with basil, olive oil, red wine wine vinegar, and salt, as well as corn on the cob. Both were purchased from my local farmer’s market ❤ The simple style in which one may consume summer produce never ceases to amaze me. First, steam the tempeh. Add all ingredients listed under Tempeh to a medium pot. Bring to a boil, then lower to a simmer with the lid on. Allow to simmer for 10 minutes. 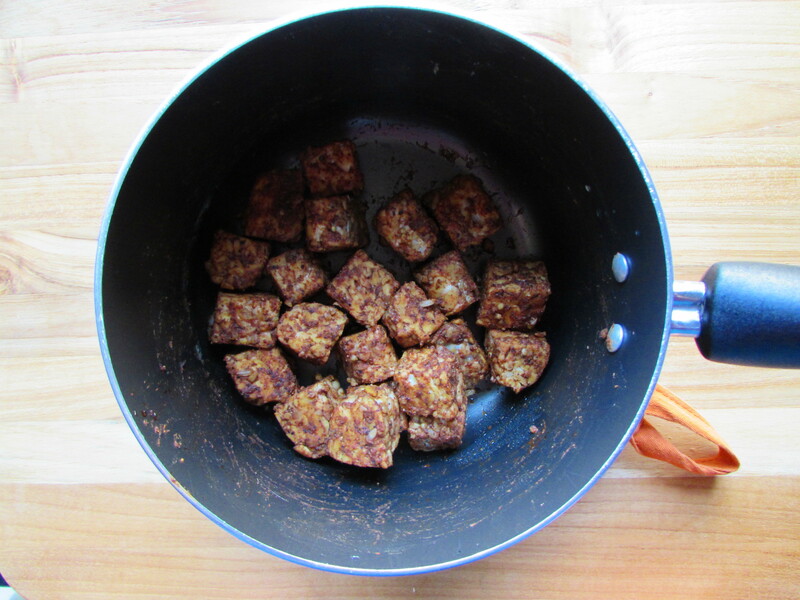 Drain the tempeh, and place it back in the pot. While the tempeh is steaming, preheat the oven to 400 degrees F. Then, put together the spice rub. 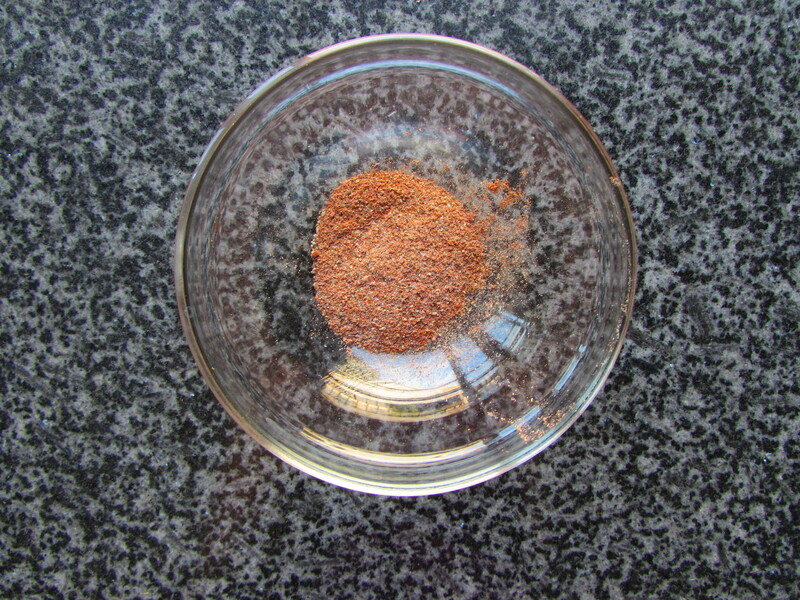 Mix all ingredients under Black Peppercorn Spice Rub in a small bowl. Add the Black Peppercorn Spice Rub to the tempeh, and stir so that all tempeh pieces are coated. Spray a baking sheet with oil. 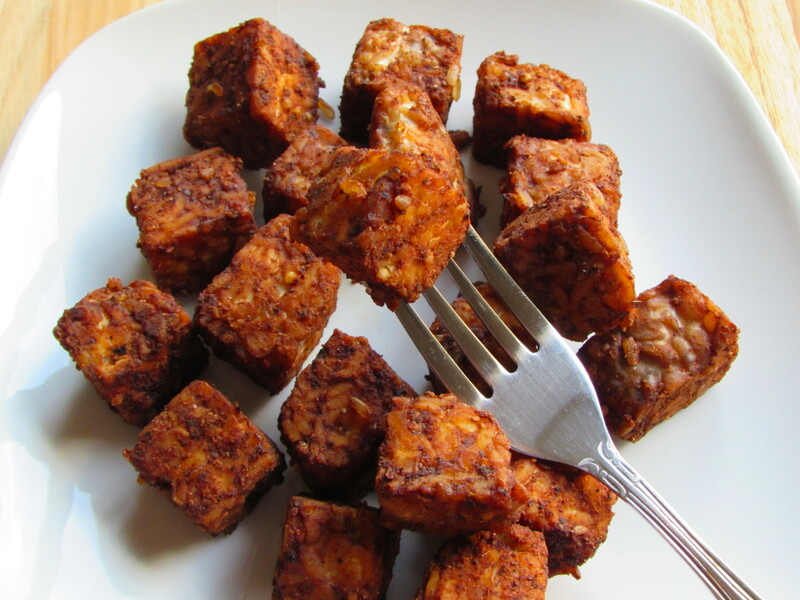 Dump the tempeh onto the sheet and bake for about 15 minutes. Serve with your favorite veggie sides.